It looks like fate has brought Michelle Obama and Prince Harry back together once again, and we’re so happy it actually happened. It was a big start to the week for both Barack and Michelle Obama, who were in the process of launching the first ever Obama Foundation Summit. While the Obama Foundation has been in operation for some time, this summit was a unique and special event, which brought together “a collection of high-profile artists, entrepreneurs, world leaders and royalty to meet with hundreds of mostly young up-and-coming leaders,” according to USA Today. But perhaps the most exciting addition to the summit roster was the inclusion of Harry himself, who not only showed up to support his friends, but also gave a speech and attended a special smaller chat with Michelle Obama and a group of Chicago high schoolers at Hyde Park Academy. Before Harry’s big talk at the summit proper, he and the former first lady met with local teens who were there to discuss a variety of topics. Seeing as it was a surprise visit, there was no set topic of conversation, so the group appeared to have a freewheeling and honest discussion about everything from the importance of leadership to how people like the Hyde Park Academy students could use their voices to change the world. Tweets and photos posted by the Kensington Palace Twitter account show Obama and Harry were clearly in their element, sharing in some delightful times with forward-thinking teens. But Harry’s work wasn’t exactly finished. Shortly after leaving Hyde Park Academy, he took the stage at the summit itself to speak to those in attendance about the Full Effect Program. In addition, he spoke to the crowd about how he is currently working to provide a voice for younger leaders; to him, they are the biggest source of hope the future can be better. 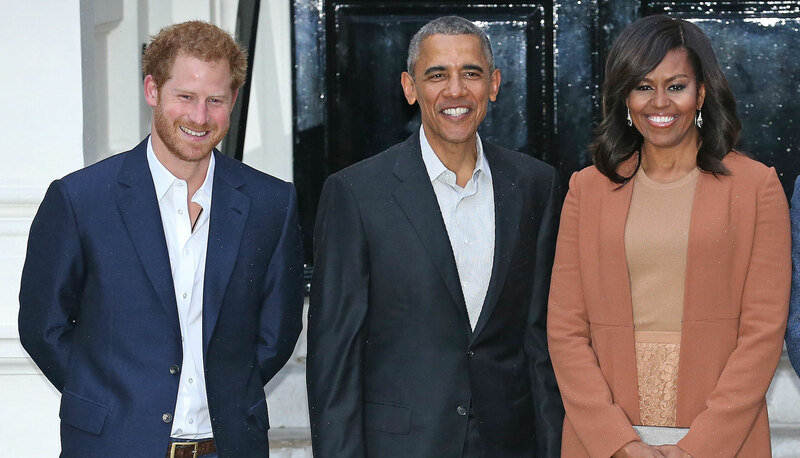 So, just to quickly recap: it was not only a great time to be a Chicago resident, because we’re pretty sure you could feel the magic in the air just from the presence of the Obamas and Prince Harry, but it was also a summit filled with the sheer force of positivity and hope for the future the aforementioned trio is known for. What a time to be alive, you guys. What a time, indeed.